Michaelmas is a relatively new seasonal celebration for my family. While I’ve always grown up with an attunement to the season’s shifts from Summer’s boisterous bounty to Autumn’s slow and silent movement towards interior living, this special feast day and its long-time celebrations were not known to me. However, its themes of harvest and community, threat and injustice and, ultimately, a light that vanquishes all are ones with which I deeply resonate. The festival of Michaelmas occurs on September 29, and is a traditional Celtic holiday associated with the autumn equinox. As long, sun-filled days, turned to slanting shadows, the legends of St Michael–principal of angelic warriors, protector against night’s darkness, and the Archangel who fought against Satan and his evil angels–were told around the bounty of harvest as a way of distilling the fear associated with the coming cold winter months. It was believed that negative forces were stronger in darkness and so families would require stronger defences during the later months of the year. The epic heavenly battle against Lucifer and his dominions would be retold with light-filled swords slaying ghastly dragons, similar motifs as found in the tales of St. George and the Dragon. This story and celebration would encourage the “looking-to” for protection (the looking-to a good harvest, strong community, and faith in God), the “looking-for” collective and individual strengths and the “looking-back” with thanksgiving and praise. While this festival has agrarian and pre-Christian roots, I greatly appreciate the challenge that it still holds for us today. I have been reaping the benefit of bounty a plenty this summer: berries, plums, tomatoes and herbs have piled themselves on our sun-drenched kitchen counter these warm months. But as my family and I enjoy this harvest, I am mindful of the lack that is present in the lives of so many today around the world. We all know and feel the tension that exists between our reaping while another is weeping and herein lies the proverbial dragon that makes this story of Michael a needed one, even in our one-stop-shop lives. Dragons do exist and they lie in wait everywhere in all forms of injustice; these are the dark nights of the soul where despair lurks and preys, making victims of those without a voice to be heard. In our bounty, in our blessing, we are called to wield our swords of light on behalf of those who desperately need advocacy and speak for those who may not be able to even scream as the beast aims to gobble them up. We summon courage, we look-to the source of Love and Light and demand that our sword be as bright and bold as Michael’s so that we can vanquish the dragons of this world, living forward with the possibilities of peace and justice, the possibilities of bounty, for all. The traditions around the Michaelmas festival all come with delicious community sharing, this being the acknowledgement and celebration of the cyclical nature of the gifts of the earth, and the gifts of God. So, while we gather to celebrate the harvest of the summer season and come together in strength of numbers to combat the darkness of the coming season, we are also already raising food and drink in praise of the battle already won, the dragon already defeated. 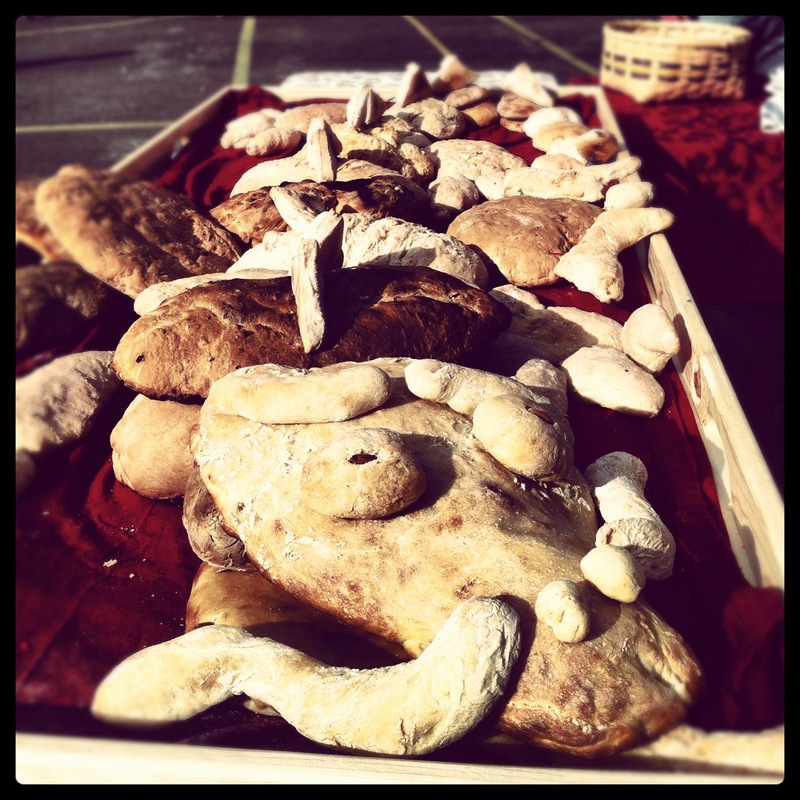 We celebrated Michaelmas yesterday at Bright Water School, where our children attend, which included feasting on Dragon Bread. This was a great-tasting metaphor for this valiant legend that calls us to come together to fight the challenges of darkness and oppression that combat our earth and its communities, and collectively feast on the good things given us! Reflections: As you move into the darker, quieter months of Autumn and Winter, what interior light invigorates and inspires you? Where do you draw strength for the courage to fight the dragons of your life? *** There is injustice that surrounds us in all our elements-from the earth, to the water, to our air, to all the creatures that live and breath here. For whom can you advocate in your community during these approaching seasons? *** It is important to look back on our journeys and offer thanksgiving for the battles already won! 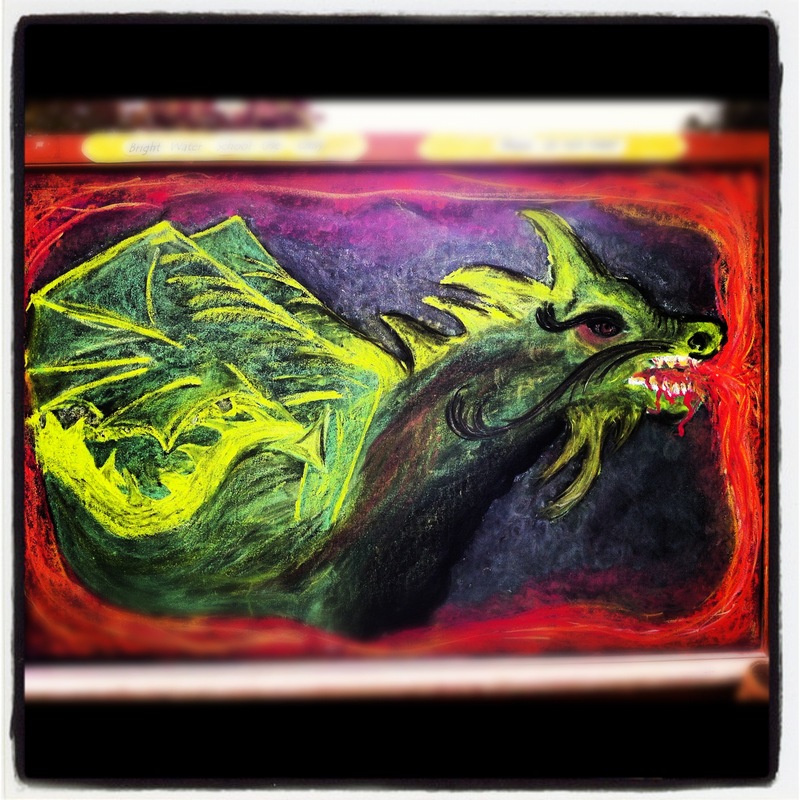 Can you share a “dragon-vanquished” story with someone in your community? Thine own is their fullness. 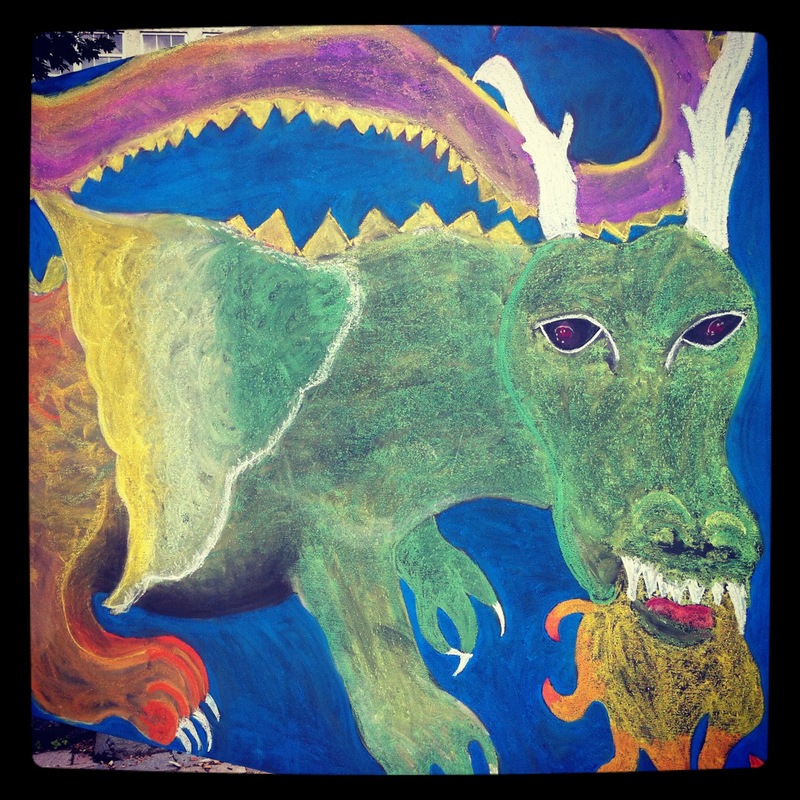 This entry was posted in Ordinary Time and tagged autumn equinox, Bright Water School, Celtic, community, darkness, Dragon Bread, dragons, harvest, injustice, Michaelmas, spirituality by waymarkers. Bookmark the permalink. I found your reflections very thought provoking. Thank you. You challenged me to think more about the symbolism of this feast. We too have only recently started celebrating Michaelmas – since moving back to England where we enjoy Autumn again after several years in places where they do not have an autumn! Thank you, Jo for these encouraging words! Blessings on you and yours!